Back in 2013 they bought in 15 cows and heifers from Ireland and found really good value in Ireland. The introduction of the Irish stock proved so successful that the Mansells decided to change their business plan completely and, in January of this year, they went back to Ireland to purchase some 115 heifers. In a whistle-stop tour over two days the Mansells visited and purchased stock from seven or eight farms in Enniscorthy, Fermoy and the general Cork area. In the summer of 2013, the Mansell’s herd at Brookhouse Farm, 300 acres near Oswestry, had developed into a 170-strong herd, milking three times-a-day, with an average yield of 10,500 litres per cow, on 3.6t conc./cow. With only Ian and Lucy, and some part-time help from a relief milker working on the farm, it felt as if it had become a non-stop battle with fertility, mastitis and lameness issues. “The Irish cattle, all in their first or second lactation, joined our high-yielding Holstein Friesian cows, and straightaway you could see they were almost a different animal,” explains Lucy Mansell. 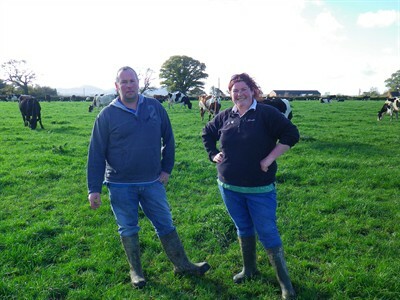 One thing Hugh did impress upon Ian and Lucy was the need to talk to other farmers who milked under a grassland-based system, before they did anything else. The pair then visited, among others, Dave Lee in Powys (BGS President and Forage for Knowledge contributor) who, again, was instrumental in helping them make a decision. 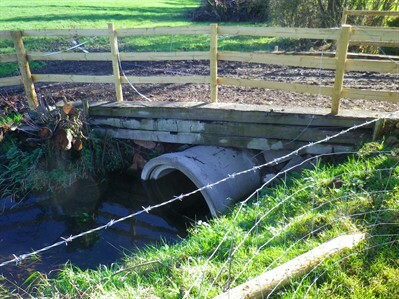 After working through the budgets closely with consultant Richard Snell, the siblings decided to move to a grassland-based system on December 6, 2013 and, by the beginning of January, Ian was in Ireland buying cows. About 45 of the existing herds’ cows were sold, and about 50 went as barren cows. The rest of the Holstein cows were then incorporated into the new herd. The 151 in-calf Irish heifers arrived at the beginning of January 2014 and began to calve in February. “We are in control now,” says Ian. “We no longer have wagons rolling in all the time costing us money. We have the time and energy to think about and develop our business for the future. The other day, the vet greeted us with “Hello strangers!” I think that’s an indication of just how little we see him and how well this system is working for us, not the other way round. This article first appeared on DairyCo’s website. DairyCo is DairyCo is a levy-funded, not-for-profit organisation working on behalf of Britain’s dairy farmers.